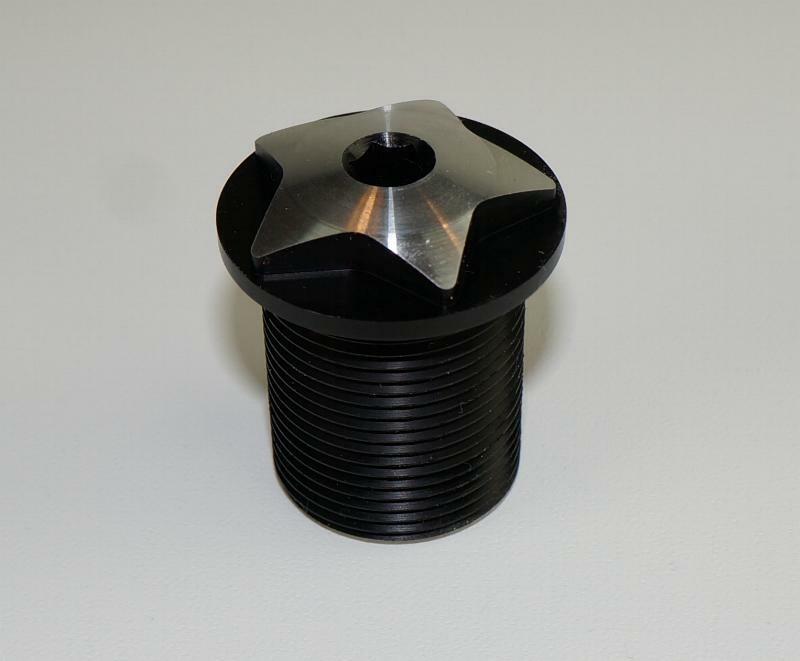 Anodized black compression bolt that fits the 1-1/8" Hutch stems and Hutch internally-threaded forks. These were anodized in the same batch as the stems and are a perfect match for color, or you can use them with the chrome stem to make the colors of the bolt and the standing star really pop. They are machined from 6061-T6 aluminum, then anodized, then sent back to have the top of the star machined off. A very slick detail item for sure. 100% made in USA.